W e met Warren and Priscilla soon after they moved to Brisbane from Melbourne. 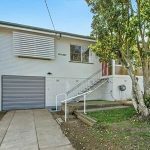 Renting at the time, they wanted to settle down and buy a low maintenance home on the north side of Brisbane within 10kms of the CBD. As they didn’t know Brisbane well, they were in need of local guidance on location and pricing as well as someone to negotiate on their behalf. Their budget was mid $500’s, and as they wanted a low maintenance home with 3 bedrooms and 2 bathrooms, they felt a newer townhouse would be an ideal fit. After an extensive search, we settled on a sizeable two-storey townhouse in a small complex of three that was ten years old. The seller was asking for $570,000 though we were able to negotiate down to $563,500. The townhouse features 3 bedrooms plus a study, 2½ bathrooms, spacious open plan living, a covered patio with a low maintenance courtyard, single lock-up garage and all the modern finishes they were after. As a bonus, it is also within walking distance to local shops, cafes, schools and public transport. 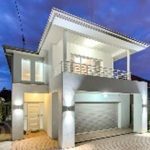 As we only just moved to Brisbane late last year and this is our first home we felt completely out of our depth in terms of what was and wasn’t a good investment as well as realistically what a property was worth both now and in future. Nathan and the team made us feel comfortable in understanding the market and tailored their efforts to what we needed (not what they thoughts was best for us). With Property Pursuit’s help we have the confidence in knowing we bought a home and a smart investment for the right price.